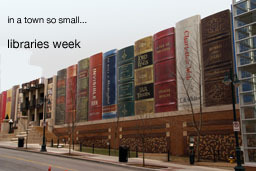 in a town so small is inspired by city centres. More importantly, it is inspired by backstreets, lost architecture, broken windows and forgotten buildings. To see an archive of past adventures and ponderings, click the walks tab above. That page has links to everywhere in a town so small has wandered. The blog was nominated for two Manchester Blog Awards in 2010. I’m Dan. By day I work in museums. I have an interest in how museums and galleries are used by their visitors, and the impact they can have as informal spaces for ongoing education for all. Beyond that I like drinking tea, watching non-league football, and tracking down interesting ale. 1832 was the year which the asiatic cholera pandemic, at the time simply the second pandemic, reached the uk. the disease swept through cities indiscriminately, decimating east london, manchester, swathes of nottingham and sheffield to focus on but a few. 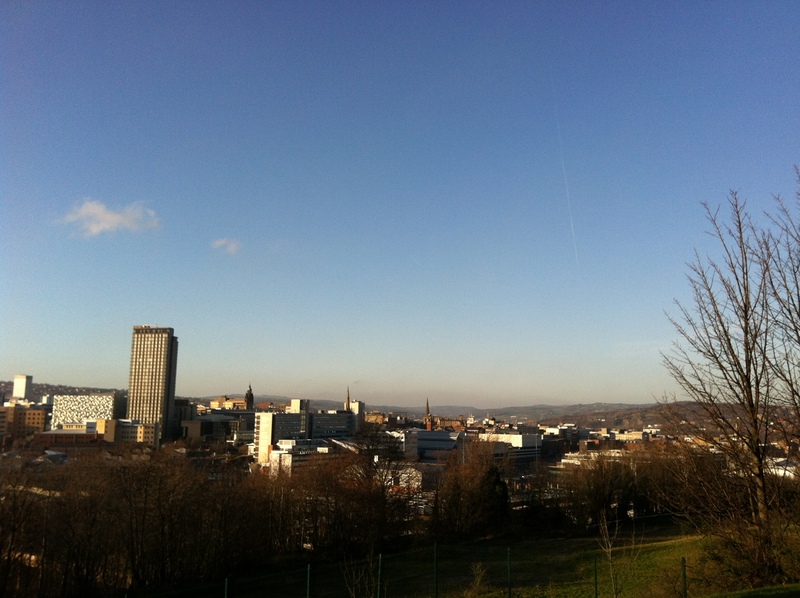 around 22,000 died across the country, of whom 402 were buried in the cholera pit in the norfolk park area of sheffield, just off from park hill. 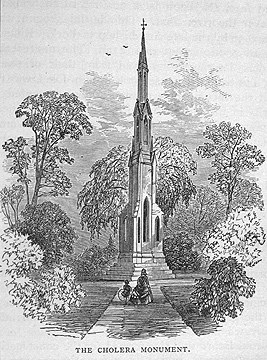 the disease reached the city in july of 1832, and was considered somewhat under control by november; reportedly the dispensery at sheffield university issued over 3500 leeches that year, against a normal figure of around 100.
by 1834 construction had begun on this monument to the dead, financed in part by sales of models of the sculpture, and also with the support of the duke of norfolk. the monument itself was completed in 1835, with the gardens around it following in 1850. by 1930 the norfolk estate had handed the grounds over to the city, and the monument has since been struck by lightning, seen its top scattered around the gardens by the weather, been rebuilt and grade II listed, alongside a green flag for the park. 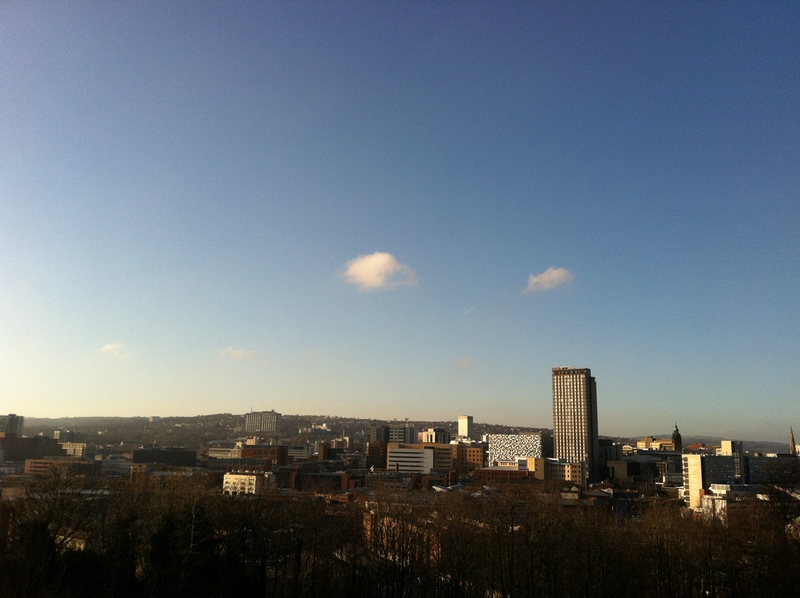 this was my first walk up to this area of the city, looking out across sheffield from a brand new perspective. 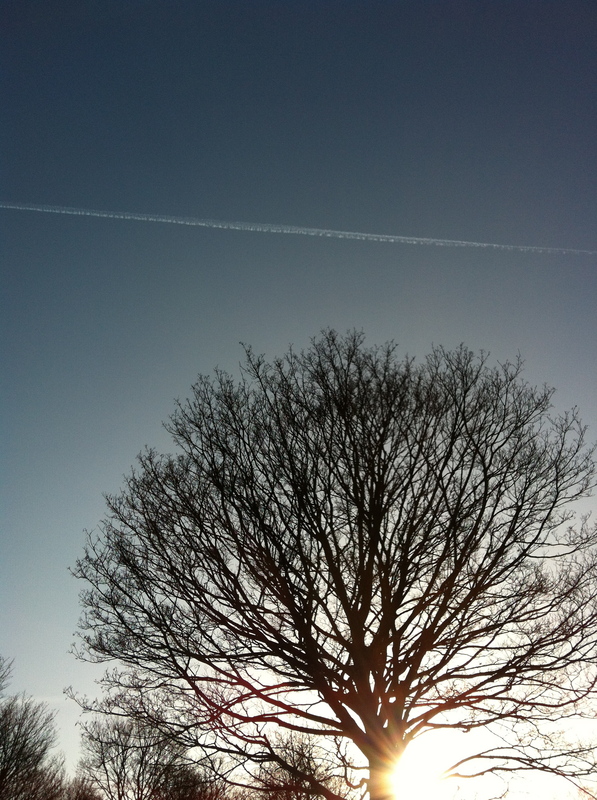 this is going to keep happening, as i discover new ways of viewing a city which i now call home. coming down through the city i crossed the train station bridge, which is under threat as a public access route thanks to the lovely folks at east midlands trains, and came out at the base of the steel steps which rise up to park hill. carrying on up and to the right, you follow signs for the memorial, and after a brief wrong turn reach a real haven on tranquility within five minutes of the city centre. this is the kind of place that i always bemoaned the lack of in manchester city centre, an area of green, quiet, contemplation, and no sign at all of offices, fast food, pedestrian crossings or chuggers. the memorial grounds lead off a quiet residential street, which by the bye has some beautiful tudor style villas on it, and once through the gate you are drawn straight through the park towards the monument. the die straight path, and trees on either side, work brilliantly to accentuate the monument, which appears to be rising up from just below the level of the path – a really nice piece of planning from those who put the grounds together nearly 200 years ago. 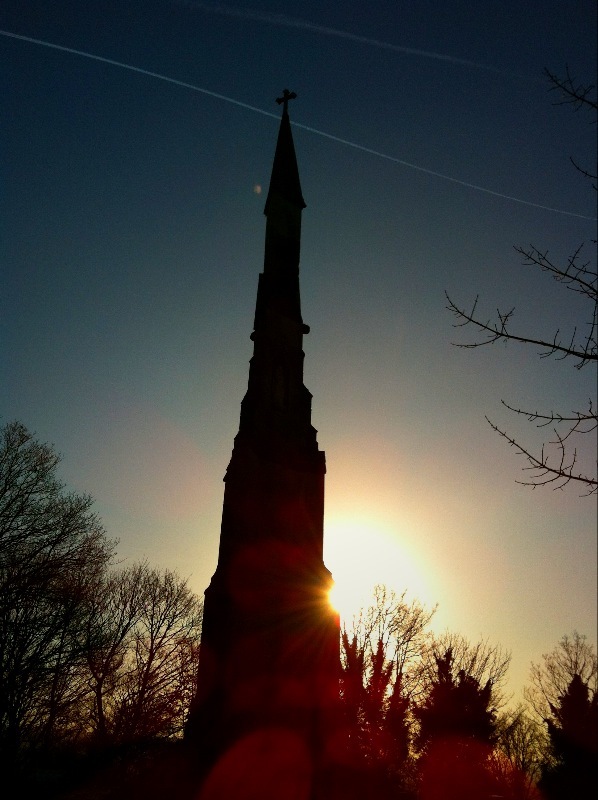 the pevsner guide to sheffield sums the monument up as ‘an earth-bound gothic pinnacle or spire,’ with the man himself suggesting it as a gothicist’s obelisk. 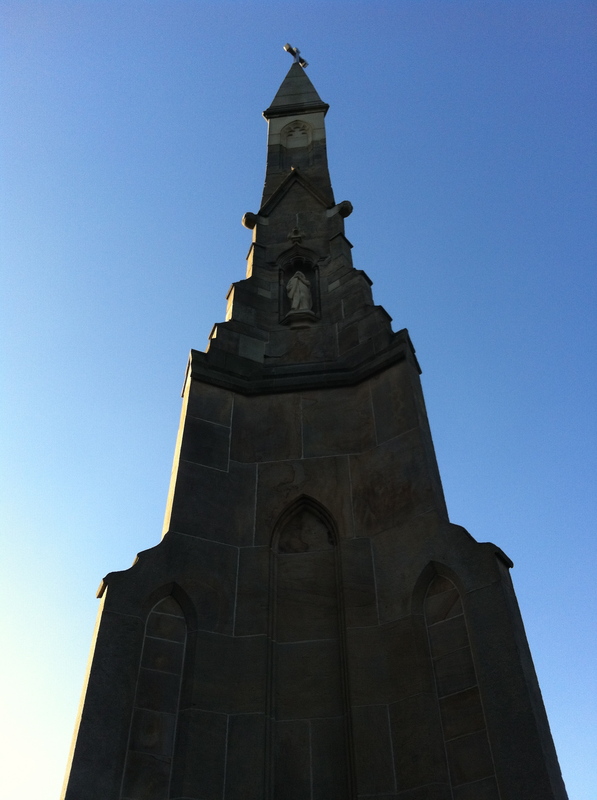 in fact, there are probably a few links that can be drawn between the cholera monument and darwen tower, the rocket-esque beacon that looks over east lancashire. 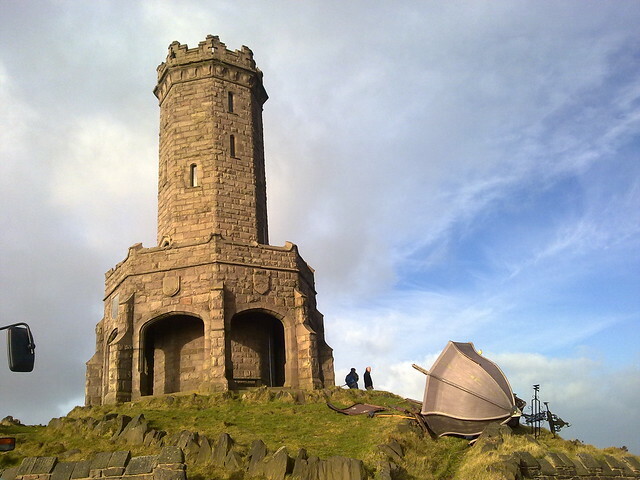 much as darwen tower is currently lacking it’s nose-cone (nb – it was actually replaced only two days ago! 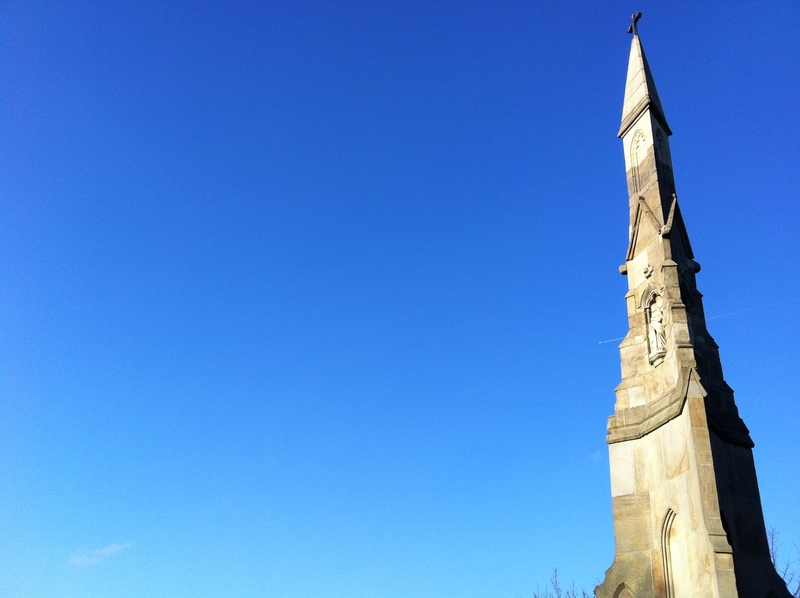 ), the cholera monument was only restored to past/current glories in 2005. 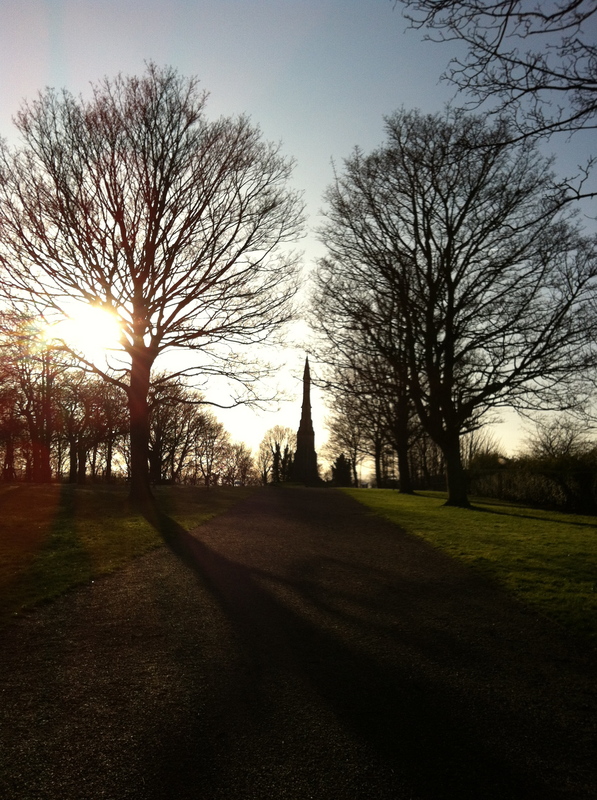 This entry was posted in Walks and tagged sheffield, sheffield cholera monument. Bookmark the permalink.